Our accepted abstracts are shown below, except that we also have others where the asset owner still has to supply comment and/or approval. After this has been done these additional accepted abstracts will also be added. The design and detailing of rail viaducts for high seismic loads presents several unique challenges that are often not covered adequately by codes of practice. For instance, designers must consider the impact of the natural frequency of the structure on the safety of the train itself. The following paper outlines a practical design approach for designing typical long, multiple span, simply supported concrete viaducts for seismic events. It considers a staged design approach where the safety of the train can be guaranteed under a so-called Level 1 earthquake and the safety of the viaduct structure is checked under a higher Level 2 earthquake. The paper provides a detailed insight into the benefits of using a push over method that accounts for the ductility of the viaduct piers over a more standard force-based approach. With over 31 years experience in the design of bridges in Australia and internationally, Vishnu was the Design Lead (Structures) on this project. He has been involved, in the capacity of senior bridge engineer or team leader, in the detailed design of approximately 600,000 square meters of segmental bridge deck and in the tender design of another 450,000 square meters of segmental bridge deck alone. 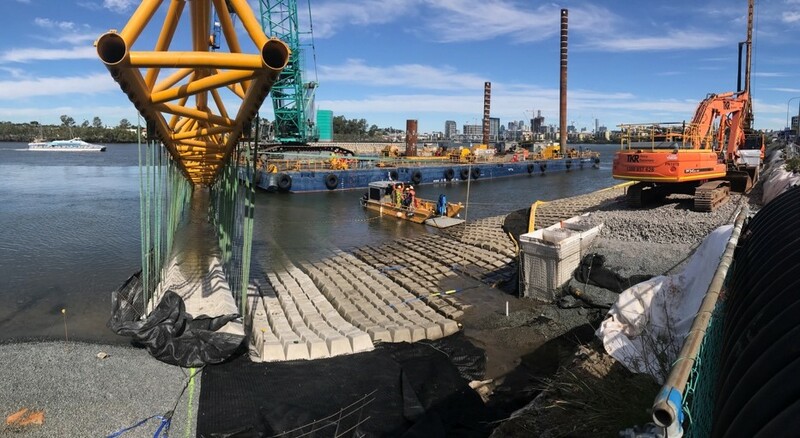 These segmental bridge projects include the tender design of the Melbourne City Link, detail design of the Western Sydney Orbital, Brunswick River and Gunghalin Drive projects in Australia. Internationally, Vishnu has been involved in the segmental detailed design of the Malaysia Singapore Second Crossing Bridge and Ipoh Viaduct in Malaysia, bridges in Iraq and the tender design of the Boubyan Viaduct in Kuwait. 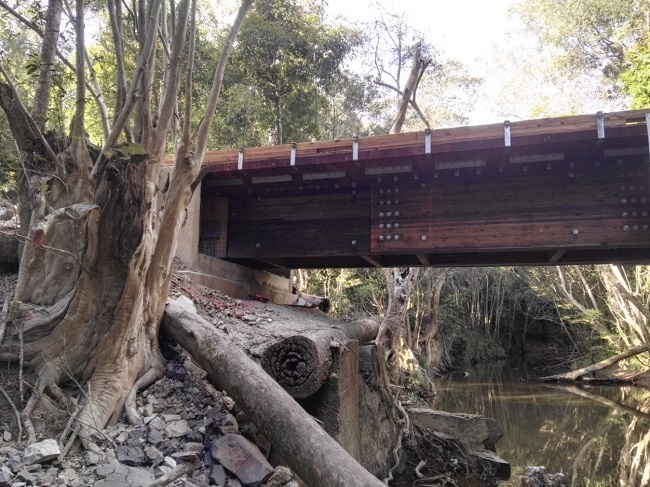 Wood Research and Development (WRD) was commissioned by Cassowary Coast Regional Council (CCRC) to design timber replacement bridges for four steel I-beam bridges with prefabricated Penta-treated glulam timber. Since 2010 WRD has worked closely with CCRC in replacing or restoring 32 of their ageing timber/steel/concrete bridges with new glulam/log girders, glulam/solid sawn deck and glulam/solid sawn kerb system. The council has now started to replace their 20 year old steel bridges as they are failing due to rusting. The new replacement Penta Pressure treated, incised, glulam super-structure and deck has a design life of 100 years with minimal maintenance required. Seres Road Bridge Replacement – July 2018 The new superstructure can be installed on the restored substructure elements or on new pre-cast concrete abutment seats due to the lightweight of the glulam timber. The cost of the replacement with glulam girders and deck is 36% less than steel and has a 100-year life versus 20 for steel. With the timber replacement solution, the bridge only requires a closure for 1-2 days depending on the size of the structure compared to a much longer period for many steel or concrete bridge replacement options . This presentation will elaborate on the key issues of replacing old bridges on rural, low traffic roads and the budget constraints that come with them. Patrick (Pat) Bigg graduated from University of Tasmania with a Bachelor of Engineering (Civil) in 2014. Following a year in Local Government, he joined Wood Research and Development in 2016 as Timber Structures Engineer. where he has specialised in the design of bridge elements, complex connections within timber structures and Multi-frame modelling of structures. Following several stints as site engineer for bridge retrofit and renewal projects, Pat has now taken up the position of General Manager Australia for Timber Restoration Systems. Open deck bridge designs have the timber sleeper /transoms directly supported by the bridge girders. Due to the lower dead loads of these bridges, they are one of the most popular railway bridges and their maintenance cost is much lower than the ballasted deck bridges. However, in the absence of ballast, more dynamic load transfers into the substructure than for ballast decks and this is why rough riding is a common issue of transom bridges. To deal with this issue and to reduce rough riding, the rail is often at an offset to the bridge girders. The effect of having the rails offset to the support girders is that it creates both a bending moment and shear in the sleepers/transoms. Also, due to the additional stiffness of these bridges, bearings are more vulnerable compared to ballasted decks. The approach slab also plays a more critical role in the quality of the ride of passenger trains on these bridges. Due to these factors, special requirements for maintenance and assessment of these bridges have been presented in this paper. The revision to AS5100 in 2017 resulted in significant changes to the design loading and impact heights for all bridge barrier performance levels. These changes have increased the requirements for bridge barriers which are then reflected into increased cost of bridge construction. The paper will explore the impact of the changes to bridge barrier design and, importantly, the impact on bridge construction costs. Over dimension vehicles striking rail and road bridges internationally is a daily occurrence with each strike causing delays to customers, has financial implications, damages vital infrastructure, and in extreme cases loss of life. This paper will look at how Network Rail in the UK and the NZ Transport Agency manage the issue of bridge strikes. On the Network Rail system there are on average 5 bridge strikes daily and 1800 strikes yearly. On average each strike delays trains for 2 hours and costs the tax payer £23 million yearly. In Auckland, New Zealand, Penrose bridge has been struck over 40 times in the past 8 years with one strike alone in 2016 causing 3 hours of delays and cost the economy of Auckland over $NZ 3 million. Network Rail have developed a process to manage the risk of bridge strikes to try to limit the delays to customers, while keeping the infrastructure safely operational. In the case of Penrose bridge which spans over a motorway which accommodates 200,000 vehicles daily, collision protection beams and advanced warning variable message signs (VMS) have been installed to protect the asset and reduced the number of bridge strikes. Bridge scour is the removal of seabed or riverbed sand from around bridge and wharf abutments and piers. Scour is caused by fast moving water, thus compromising the integrity of a structure. Commercial Marine Group has designed and installed custom scour mattresses for a range of Clients and will discuss the challenges presented by the Client and the solutions provided. Recent projects that will be presented to delegates is the installation of the Callaghan Park Boat Ramp, Rockhampton, 80CBM of concrete in-situ installed into custom designed grout bags and the Kingsford Smith Drive Project in Brisbane, where the team assisted with the installation of 330 scour matts, weighing between 30 and 80 tonne each. Secondly you will be presented with the sewerage outflow solution on the Kingsford Smith Drive Upgrade Project, Brisbane. Both projects presented unique challenges and learn how and why the final solutions were developed and installed in a subsea environment using commercial divers and specialized floating plant. Ray Crampton is founder and Director of Commercial Marine Group (CMG), a marine construction company specialising in the provision of commercial diving services and other subsea solutions. Ray has extensive experience in construction diving and project managing marine construction projects, with qualifications in Hyperbaric Operations Project Management and Business Management. Ray has 19 years occupational diving experience, including 10 years with the Royal Australian Navy. The New Zealand Transport Agency has a bridge replacement programme in the Northland region of New Zealand to replace existing single lane bridges on the State Highway network with two lane structures. Taipa and Matakohe bridges are the first to be replaced in the programme and this paper presents the design and construction of these three structures. Taipa bridge consists of a 4-span structure constructed across the Oruru River the with precast hollowcore units and a length of 107m. Matakohe Bridges consist of two structures constructed with precast super-tee units over tidal estuaries. The bridges have span arrangements of 2 and 6 spans and lengths of 55m and 191m respectively. The bridges have spill through abutments and are supported on bored piles into component bedrock. The paper will cover the design process including technical challenges of; seismic induced soil movements acting on the structures, tsunami loading and integral bridges. The paper will also cover incorporation of Iwi artwork into the bridge, Safety in Design process undertaken to address concerns with people jumping off the bridge into the River below at the Taipa site and construction of the bridges. Dr Oliver de Lautour is an Associate at Aurecon, New Zealand with 14 years’ experience in structural design and is a Chartered Professional Engineer. He has a PhD in Civil Engineering studying Structural Health Monitoring. His background is predominantly in the detailed design of bridge structures in the Australasian and South Pacific regions. His experience includes undertaking complex bridge analysis and design, working collaboratively in multi-disciplinary design teams and bridge aesthetics. He has previously presented at the Small Bridges Conference. In Belgium to address these limitations, and due to the increasing needs from Local Road Authorities to have solutions for such bridges, a specific product was developed to meet these requirements. The new bridge parapets were required to cover the different containment levels usually required on secondary roads in Europe depending on the traffic level. Three versions of the parapet have been developed and tested for the N2, H2 and H4b containment levels. Respectively aiming to stop a 1500kg car, a 13 tons coach and a 38 tons truck. The energy levels of these classes are above the energy classes of TL2, TL4 and TL6 level according to MASH. Systems have been developed for the specific constraints of rural bridges using Finite Element Simulations and advanced LSDYNA models. The systems were then crash-tested to assure their effectiveness in case of impact. Traditionally rural bridges were not designed to support the increased load that higher containment devices generally require and so often need expansive civil engineering works when the road safety devices are upgraded. The technical paradox to resolve by developing the new system was to be able to contain different type of vehicles but, at the same time, transmit the least forces to the bridge decks and achieve a low impact severity value. Tested according to EN1317, the systems should satisfy the corresponding MASH containment levels. The paper will show through case studies, that the low forces transmitted compared to existing systems (more than 50% less), allow the systems to be placed on existing bridges without the need to reinforce them despite not having been designed for crash tested parapets. The systems have been designed with ease of installation and dismantling and to be slim to permit placement on the edges of narrow bridges typical of common rural bridges. David De Saedeleer is an engineer, CEO of Desami (founded in 2012), with over 15 years’ experience in the road safety devices. He is a member of the standardization committee for EN 1317 and of Consultative Council COPRO which defines the rules of aggregation of road restraint systems in Belgium. 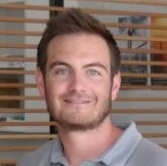 Clément Everaert is a development engineer working for the company Desami. Joseph Marra is an engineer managing the “crash and dynamic” department, with over 15years’ experience in the road safety equipment calculation and normalization. He is a member of the standardization committee for EN 1317 and he participates to the TRB committee in charge of US regulations (NCHRP350 -> MASH). Alexandre Dewaulle is a calculation engineer in the Crash and Dynamic Department. Australia has thousand of bridge assets (Road and Rail) requiring maintenance and / or upgrading due to the harsh marine environments or due to the increasing load requirements needed to prolong the life of these structures. A majority of bridge structures are aging and to replace them all to meet the requirements needed in the future is both a timely and an extremely costly exercise. These structures can be main highway bridges down to the smaller regional bridges or even box culverts. Rail bridges and road bridges (national or local council maintained) are under increasing pressure in order to cope with the increasing pressure to sustain higher loads as the population and equipment weights increase into local and regional areas. Grant Dowling is the Target Market Manager - Refurbishment for Sika Australia, Sika is a global leader in manufacture and supply of Construction Products to New Construction and Refurbishment projects. Grant has 25 years experience in Technical, Sales and Marketing as a Material supplier and approx. 4 years as a Material Consultant for a Remedial Engineering Company. Grant currently maintains the Concrete Durability range including Concrete repair, Galvanic Sacrificial Anodes, Cementitious Grouts, Chemical Anchoring and Carbon Fibre Structural Strengthening products. The City of Gold Coast (City) is the second largest local government in Australia based on its asset value and residential population. With the overwhelming majority of development occurring in the past 60 years, many structures are reaching or have exceeded their intended design life. This poses numerous challenges for the City in effectively managing their 700 bridges and major culverts, many of which are located in harsh coastal environments or within tidal waterways. Challenges faced by the City include identifying which bridge assets are in need of repair, accurately scoping engineering investigations (Level 3) in order to correctly determine cost-effective rehabilitation strategies, and ensuring completed works are of sufficient quality to provide the desired extension of remaining life. This paper discusses how the City has overcome these challenges, providing insight from the perspective of both client and consultant. Several case studies will be reviewed, analysing the effective aspects of each project and discussing lessons learnt to enable continual improvement. Focus will be given to methods in accurate identification of the deterioration mechanisms in defective bridge components, and the importance of specifying suitable repair techniques. Tiffany Parker is a Senior Structural Engineer acting as Asset Custodian for transport structures located within the City’s road reserves. She takes a lead engineer role in capital bridge rehabilitation and replacements projects. Her key areas of experience are bridge condition assessments, planning, scoping and procurement of bridge renewal projects within a Local Government environment. Matt Duncanson is a Senior Engineer in SMEC’s Materials Technology team based on the Gold Coast. His key areas of experience are in the inspection, analysis, and design of rehabilitation works for concrete and steel structures. Matt has specific interest in the use of protective coatings and holds the NACE Coating Inspector 2 certification. This presentation is on two projects recently delivered for Local Government and Queensland Rail (QR), both were Timber Bridge replacements. Timelapse photography will be shown as part of the presentation. In conjunction with Queensland Rail and Van Ek Contracting (VEC), the installing contractor, a precast design for a 6 span single lane timber bridge replacement was completed. Project direction received was to ensure that the bridge could be installed in as short as possible shutdown period. VEC requested to maximise the preliminary installation around the existing bridge prior to the actual shutdown. Queensland Rail allowed for work underneath and along the existing structure as long as the existing timber bridge structure wasn't interfered with and work was stopped during any rail movements. The solution provided with VEC was to widen the abutment and piers to allow for piling/ pile cap/ pier columns and piers to be installed outside and underneath the existing timber bridge. The bridge installation was reviewed during construction by the QR team and deemed to be successful. Humes was requested by QR to provide precast design support for the T1683 timber bridge elimination of North Coast Line bridges of Gregory River, Gregory River Overflow, Stockyard Creek and the Berajondo South, Central and North Bridges. These were put to tender as 100% precast bridge designs. 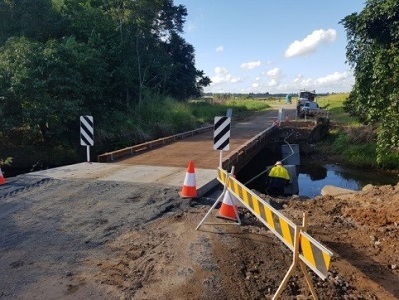 In conjunction with Banana Shire Council and VEC, the installing contractor, a precast design for a 3 x 14 metre span twin lane Timber Bridge replacement was completed. The design was for a 100% precast bridge to a SM1600 loading and with piles installed insitu. All approach slabs, abutments with wingwalls, piers and bridge decks were supplied as precast units with all precast units installed in 2 x 14hr daytime shifts. Stephen is the Sales manager for Humes Central Qld, Steve's experience in the Precast Concrete industry started in reinforcement design and supply and has flowed through to being a product champion for Humes Australia for 100% Precast Bridge design solutions in Rail, State and local government projects. Major rehabilitation projects for severely deteriorated reinforced concrete structures can easily run into the millions of dollars, and therefore maintaining a suite of operational infrastructure becomes increasingly difficult when contending with limited budgets. Unfortunately, the deterioration of reinforced concrete is not visibly evident until very late in the deterioration cycle, and by then significant works are typically required. The authors will present four case studies which explore the ability of modern investigation techniques to diagnose the current condition and expected life of a bridge. In each case, a different remedial strategy was selected, always aimed at either preventing/delaying future deterioration or at treating the active deterioration. The case studies consider bridges ranging from 20-100 years old, constructed using various methods, exposed to different environmental conditions (non-saline river to full marine) and subject to different load requirements (pedestrian to highway traffic). The projects illustrate the benefits of early investigation of the concrete structures which enable the prediction of the cause and onset timeframe for future deterioration. Once this information is available, the selection and implementation of suitable preventative maintenance works (such as coatings) can significantly delay more costly repairs. However, even in the cases where corrosion has initiated, mid-stage intervention using targeted corrosion control techniques show the ability to provide long term life without the cost and disruption of a full scale rehabilitation. Dean Ferguson still spends as much time as possible getting his hands dirty in sewers or under bridges! He has a decade of experience undertaking condition assessments of structures, includes detailed destructive and non-destructive testing of various construction materials such as concrete, stainless steel, FRP and protective coatings. Dean is the current President of the ACA Victorian Branch, where he has been a branch committee member since 2010. Ian Godson has 35 years experience in all aspects of remedial engineering including condition assessment, remedial design and cathodic protection design and installation. Ian’s experience with cathodic protection of reinforced concrete structures traces back to 1987 when following training in Italy he introduced the technology to Australia. A regular presenter at technical conferences around the world, Ian’s commitment to being at the forefront of remediation technology is a strong driver in his ongoing success. The Ashton Avenue Bridge is a replacement of the original three-span timber bridge over Perth-Fremantle Rail line in Claremont Western Australia. The replacement bridge comprises a single span of 19.1 m with a trafficable width of 11 m between kerbs, and a 3.5 m shared path on each side of the bridge. There were a number of constraints that drove the design development. The first key constraint was that due to the road vertical alignment and required rail clearances, the span to depth of the bridge was limited to minimum 37 at mid-span. The second key constraint was that, due to the bridge spanning operating rail, construction was restricted to one weekend shutdown for installation of the deck planks, while the rest of construction activities were to be completed during normal rail operation. In order to accommodate these constraints an innovation solution was developed, a combination of a superstructure consisting of 20 No precast battledeck planks with a cast in-situ reinforced concrete deck slab and integral abutments supported on piled foundations. The integral abutments allowed the battledeck planks to act compositely in both sagging and hogging, reducing the maximum sag moment and allowing a superstructure depth of 515 mm. This paper will outline the constraints and the design requirements that characterised the design of the battledeck planks and the integral abutments, and then will discuss the key features in the design and construction of the Ashton Avenue Bridge. The disciplines of bridge management and Structural Health Monitoring (SHM) are both undergoing rapid development. This paper summarises some of the key trends in both disciplines, and explores the value proposition for the use of SHM in bridge management currently and in the foreseeable future. Examples will be discussed to illustrate both poor value propositions and good value propositions for SMH supporting bridge management. Guidance will be provided suitable workflows to engage structural health monitoring to deliver value for bridge management. Some of the key technology advances (in both fields) will also be discussed to illustrate emerging opportunities for the bridge sector, with a focus on local government application. Dr.Tim Heldt has over 30 years of experience, and currently leads the Australian Road Research Board (ARRB) structures team to deliver quality consulting and research outcomes in the field of structures, asset management services, and technical evaluation. Tim has specialist knowledge and skills in life extension and risk management using ASISO13822. Coupled with his extensive experience in strategic asset management, due diligence and corporate review of strategy (civil and structures) and structural assessment through testing, Tim has the experience to quantify structural risk. Joshua Seskis is a lead inspecting engineer who is currently responsible for Level 1 and 2 inspection workshop delivery and managing complex inspections for the team. He has previously conducted inspections on structures, which included provisional accreditation, as part of handover inspections conducted for the Moreton Bay Rail Link, Brisbane. He is also responsible for many of the Level 3 inspections conducted by ARRB. Joshua has also had extensive experience working on project related to heavy vehicle assessments and assessment frameworks. How much confidence do we have in Level 2 Bridge Inspections? They’re a staple of the management of structures and have been so for decades. They are amongst our first ‘informers’ of a structures condition; providing condition information on the individual structure as well as allowing us to infer the health of the network of structures we manage. But how good are they? There are numerous examples, too many to count really, of inspectors both new and the very experienced making obvious ‘misses’ in what is essentially an inspection which relies on good observation skills more than anything else. Why? And is this a problem? Do we put too much reliance on the Level 2 Inspection; should we be more pragmatic and accept their fundamental flaw; that is people; and just deal with an expected level of inaccuracy? Or do we hand this responsibility over to the machines? This paper will explore these themes and hope to provoke conversation about an inspection that every manager of bridges relies on. David Hildebrand has 16 years’ experience in the completing and auditing of L2 Inspections and the identification, development and sometimes delivery of Bridge Projects big and small in country Victoria. Western Australia has hundreds of reinforced concrete bridges in regional areas that are exposed to relatively aggressive conditions. It is well known that chloride induced corrosion of the reinforcement presents a risk to the structural integrity of bridges. This is especially the case for bridge piers, which can be exposed to saline waters with tidal or seasonal variations; accelerating chloride ingress and in turn the rate of deterioration. This paper presents a recent case study where a hybrid cathodic protection system was installed to manage the risk of corrosion to the cylindrical reinforced concrete columns on two adjacent bridges. The bridges cross the estuarine Serpentine River South of Perth, Western Australia and were of similar construction. One of the bridges was constructed in the early 1980s while the duplication was constructed in the early 1990s. The paper will discuss the basic principles of cathodic protection for reinforced concrete; and how galvanic and hybrid systems offer a method to manage the risk corrosion for remote regional structures, where impressed current systems may be less practicable. The paper will also share some of the practical implications with installing Hybrid systems learnt from the project and how recent technology developments can help overcome these. Liam Holloway’s unique skills and expertise as a materials engineer specialising in durability and corrosion, traverse key infrastructure sectors including marine, mining, defence and energy. Liam completed his PhD in the field of corrosion inhibition and monitoring for reinforced concrete structures at Monash University. Following this he has worked in both the consulting and contracting fields with a focus on asset condition assessment, remediation and maintenance. Liam has been involved with the design, installation, and monitoring of numerous reinforced concrete cathodic protection systems for bridges structures across Australia. Nimal Jayasekera has 33 years of career history as a Civil Engineer with wide range of Design, Construction and Project Management experience in road and bridge projects. After completion of his Master’s Degree in University of New South Wales, he started working for Main Roads Western Australia. He has been working in Structures area for last 21 years delivering major bridge projects across Australia. Research about railway bridges often focus on the sleepers which are essential components within the track infrastructure. Indeed, most of these studies reveal that the existing sleepers made of either timber, steel or prestressed concrete are not entirely adequate for modern railway operational conditions. Transoms (i.e. considered as large sleepers) used on railway bridges have higher design requirements as compared to traditional sleepers on ballasted track since they directly transfer the high static and dynamic loads from the rails to the bridge girders. Concerns related to the sleeper’s material have long been acknowledged by researchers, however their practical replacements with composite alternatives remain fairly limited. Therefore, this research addresses the use of Synthetic Fibre Reinforced Concrete (SFRC) as an alternative and sustainable material for transoms of railway bridges. Dayani is a PhD candidate in Western Sydney University. She has obtained the B.Sc. (Hons) in Civil Engineering from University of Moratuwa in 2012 and MPhil. in Civil Engineering in the same university in 2015. Christophe Camille is a Phd candidate at western Sydney university. He obtained his Bachelor degree (Hons) in Civil Engineering in 2018 at Western Sydney university, sub-majoring in structures. Bridges comprising precast Teeroff Beams made continuous offer a number of advantages, and have been used increasingly on projects in Western Australia. Typical methods of achieving continuity rely on specialised construction techniques (i.e. post tensioning) or extensive formwork in constructing in-situ transverse diaphragms. To maximise the combined benefits of a continuous design and precast Teeroff beams, the design of the bridge, and in particular the stitch detail, needs to be as simple as possible. This paper presents the detail used for Northlink Central Section bridges. The resulting savings in materials, formwork and construction costs are compared to the conventional simply supported alternatives. Michael Kakulas has over 25 years’ experience in bridge design, focussing primarily on the technical aspects of the business, undertaking Design, Discipline Lead and Design Manager roles on road and bridge infrastructure projects across various contract delivery types, including D&C and Alliance Contracts. Flooding can cause collapse of bridges in many different ways. One common one is by progressively eroding river bed around and beneath of bridge piers. This process is identified as scouring process. Different techniques have been suggested to prevent scouring; however, most of them were unsuccessful due to the increasing shear force at the bed and ultimately causing immediate bridge collapse. An investigation by the American Society of Civil Engineers reported that more than 50 percent of all bridge collapses is due to the bed scouring. Most of the previous studies were based on scour around a single pier; however, in practice, bridges are usually wide and piers comprise two or more circular piers aligned in the flow direction that together support the loading of the structure. In this study, the effect of spacing between two aligned bridge piers on maximum scour was investigated experimentally under clear water scour conditions. This paper presents new guidelines to design bridges considering diameter and distance of the pier. This approach minimize scouring depth at upstream of the front pier during flood events. Also two equations have been developed to predict the maximum scour depth at upstream of both front and rear piers as a function of the spacing between the piers, referred to as a pier-spacing factor. 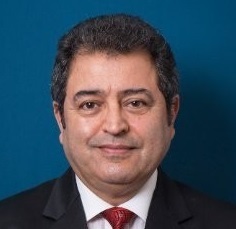 Alireza Keshavarzi is a professor in Hydraulic Engineering Discipline at the School of Computing, Engineering and Mathematics, Centre for Infrastructure Engineering, Western Sydney University (WSU), Penrith, Australia. He received his ME and PhD in Hydraulic from UNSW. Bijan Samali is a Professor at Western Sydney University. Culverts are small bridges which are built at locations where a waterway crosses a road or railway and limits flow passage. Culverts may be single or multi barrels with box, circular or elliptical openings. One of the problems that may occur in flood events is blockage with debris at the inlet of culverts. Blockage at the inlet of a culvert commonly occurs due to transport of debris and accumulation during flood events. The blockage at the inlet modifies flow condition and may overflow the structure and may result in culvert failure. Despite this, the impacts of blockage on culvert hydraulics and downstream waterways have not received consideration in the literature. The purpose of this paper is to alleviate this deficiency by reporting on an examination into scouring at the outlet of partially blocked culverts. Experimental tests were conducted under steady flow to find a relation between maximum scour depth, blockage ratio and flow features. In this study, both non-blocked and partially blocked conditions were considered. Analysis of experimental tests showed that the dimension of scour hole increased with partially blocked when compared to non-blocked culverts. Furthermore, maximum depth of scouring at blocked condition occurs at the distance closer to culvert outlet in comparison with no blocking condition. A trend across North America and now into New Zealand and Australia is the conversion of old unused railway corridors into a scenic rail trails for pedestrians and cyclists to use. One of the attractions of a rail trail can be the majestic timber bridges that cross over creeks, gullies and roads. In most cases the bridges require a significant amount of rehabilitation work in order to make them safe and compliant to support pedestrian loads. Jimmy Gully Pedestrian Bridge crosses Jimmy Gully along the Brisbane Valley Rail Trail (BVRT) near Harlin, Queensland. 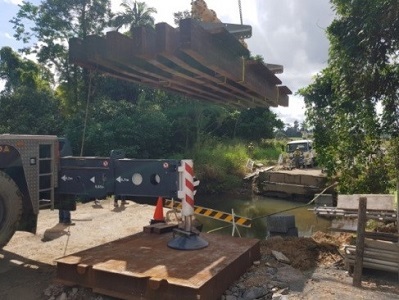 An extensive inspection of Jimmy Gully Bridge was completed by Wood Research and Development (WRD) technicians using non-destructive testing methods such as compression wave technology analysis (Stress Wave Timer-SWT). WRD engineers determined that Jimmy Gully Bridge required a new structure and deck system along with several of the substructure elements requiring repair works using high strength fibres. It was designed with a new pentachlorophenol-treated glulam caps, girders and deck and handrail system with connecters that do not penetrate through the top surface. These greatly increased the longevity of the structure as well as reducing maintenance costs. With the treatment of the timber and the design connection details, the structure has a design life of 75-100 years with minimal continued maintenance. In addition to this Decaystop® (Borate Salt) rods were installed in the remaining hardwood elements in order to resist further deterioration of the timber caused by fungi growth. This presentation will demonstrate how this was undertaken in timely and cost effectively by utilizing the existing substructure and installing a new lightweight pre-fabricated glulam superstructure and deck system. 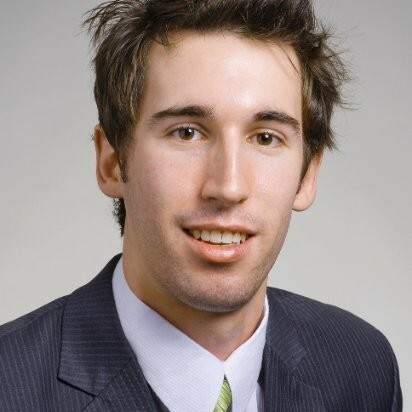 Andrew La Spina BE (Civil) began work with WRD as a Timber Structures Engineer. His roles within the engineering division are; to conduct and oversee certified Level II and III inspections of timber structures, compute preliminary design and analysis reports of timber bridges and drawing reviews of construction plans for timber bridges projects throughout Australia. On this project Andrew was heavily involved with the design process, assisted with the construction drawings, assisted the construction company with project management and undertook the final inspection of the newly constructed bridge. The purpose of this software program is to demonstrate a new structural analysis tool for undertaking structural analysis for bridges at network level. There is a large number heavy vehicles that across existing bridges; the mass of these vehicles are normally significantly heavier than the original design loads, therefore, the existing bridges need to be assessed with efficient methodology to determine whether they can support the heavy vehicles or not. With the introduction of the NHVL and formation of the NHVR the ability to provide accurate responses to permit applications and to give as much access to these larger and heavier vehicles whilst maintain a reasonable level of safety falls to the road managers. The programme we are presenting provides asset managers with greater understanding of their network and the ability to accept the proposed vehicles across their bridge confidently. If used across the complete network can also provide insight into the maintenance and replacement programme allowing road managers to use the valuable resources they have efficiently. The new structural computer program has been developed successfully replicating the use of line load analysis. The program can analyse and determine design actions including bending moments, shear forces and support reactions for all bridge arrangements such as single or multi-span simply supported spans, continuous spans, balanced cantilevers and internal hinged joint structures. The new structural analysis program will help bridge owners undertake a screening of their bridge assets providing a Live Load Factor quickly and effectively within a short time frame. The software is able to analyse a hundred bridges within a couple of seconds. The program is still undergoing further development with the intent to undertake a higher level of assessment. This extension will be able to undertake structural analysis and calculate bridge capacities using 3-D grillage model and 3-D frame at network level with the relevant inputs being provided. This presentation will be a demonstration of the analysis program. The proportion of timber bridges in Western Australia (WA) is approximately 45 percent of the state stock. The timber bridges are largely located in the South West, Great Southern and Wheatbelt Regions of WA. This paper discusses a selected number of timber bridge replacement projects that have recently been undertaken in WA, on which the author was involved as a design leader. Design considerations such as geotechnical, waterways requirements, future maintenance, environmental issues, durability, whole of life cost, construction staging, community requirements and expectations, and heritage are discussed. Whilst the paper provides an in-depth discussion on the design and replacement of Bridges 0024A and 0025A, which both carry the Albany Highway in Williams - Wheatbelt Region, the author also discusses the challenges met and solutions adopted for Bridges 0083A, 0661A, 0541A, 0904A, 3197A, 3210A and 4860A. Except for Bridge 0904A, which carries a road over rail in a significantly constrained built-up residential area in Perth, the rest of the bridges discussed are in Regional WA. The design solution for the superstructures largely entailed the use of precast prestressed concrete planks and Teeroffs. Simply supported and integral superstructure solutions are discussed as part of this paper. Emson is Chartered Engineer with both the ICE in the UK and Engineers Australia. He has experience in the inspection and design of bridges of various forms of construction in the UK and Australia. He has led and delivered numerous bridge and civil structures projects for Main Roads WA, VicRoads, Public Transport Authority of Western Australia, Brookfield Rail, Network Rail, and the Highways Agency. The Little Doris Creek Bridge is a single 25m propped span consisting of TMR deck units with a composite deck. The bridge crosses Little Doris Creek which has an existing 8 cell box culvert structure to be removed during the staged construction works. The bridge is supported by closed ended steel driven tubes, which are later filled with reinforced concrete. Shotcrete facing spans between the piles and a rock filled berm was specified in front of the vertical abutment wall for additional robustness. This paper describes the design journey and construction challenges in developing the final design solution which ranged from options to retain and strengthen the existing 8 cell box culvert structure to the final single span bridge solution being presented. The staged construction involved top down excavation and thus a temporary tie back system using tied sheet piles was required, to support a 5m deep vertical excavation facilitating the culverts removal and associated earthworks. The design considerations and solutions are presented which include temporary staging/works, a non-standard piling system requiring TMR approval, sensitivity analysis of the rock filled berm support, flooding/rapid draw down effects, durability of steel driven piles and addressing client concerns. Peter Masterson is the Principal Bridge Engineer for the BG&E Brisbane office and is the Design Lead for the structures on the Ipswich Motorway Rocklea to Darra project. Peter has over 24 years design experience on steel and concrete bridges of various forms and complexity and has been the structures team lead on numerous large projects throughout QLD including the Northern Busway, Ipswich Motorway D2G, Ipswich Motorway R2D and Smithfield Bypass in Cairns. Russel Odendaal is a Bridge Engineer for the BG&E Brisbane office. Russel has over 7 years’ experience in the analysis, design and construction of various structures from integral prestressed concrete bridges and viaducts to braced excavations. Russel has worked on large scale projects in Australia the UK, Asia and the Middle East. The three arch bridges that cross Hickson Road at Millers Point in Sydney’s CBD represent an early application of reinforced concrete for large span bridges in NSW. The bridges were built by the Sydney Harbour Trust and are classified as Monier arches. At the time of their construction, 1910 to 1914, they were noted by Sydney’s Daily Telegraph newspaper as the “largest reinforced concrete bridges in New South Wales”. Due to predicted ground movements from nearby tunnel and cavern excavation work for the Sydney Metro rapid transit system, the arch bridges were structurally analysed to check their capacity to withstand the anticipated horizontal and vertical movements. The following paper describes the history of the distinctive Hickson Road arch bridges, together with details of the structural analysis work undertaken. Also, a brief outline is provided on the history of Monier arch bridges in NSW. Ken Maxwell BE Civil (Hons 1) MES FIEAust has designed over 85 bridges and has been involved in the inspection, assessment, concept design and detailed design of road and railway bridges for over 30 year. Ken is a Fellow of and a Chartered Professional Engineer (Civil and Structural) of The Institution of Engineers, Australia, and a member of the International Association for Bridge and Structural Engineering. He is accredited with Transport for NSW as a Subject Matter Expert (Structural), Australian Rail Track Corporation as Designer/Verifier/Approver of bridge design projects, and to undertake Third Party Works Independent Design Review of bridge design projects on behalf of John Holland Rail. This paper discusses the design of piles for a rail bridge in south east Melbourne which adopted a relatively conventional approach to estimating static axial pile capacity and compares it to construction stage validation. On site validation included assessment of pile installation data provided by the piling rigs on board computer. Some agreement between the interpreted ground profile and the data obtained from the piling rig outputs was observed. The results of fifteen dynamic pile tests and two sacrificial (non-working) pile tests are also presented. These tests demonstrated greater capacity than may be estimated through these conventional approaches. This presents opportunity to further refine pile design on subsequent stages of the project leading to a more robust and cost effective design. Cillian has thirteen years’ experience as a Geotechnical Engineer working in Australia, Ireland, the Middle East and New Zealand. His experience stems from a wide range of projects, including urban tunnelling, highways and rail, residential and commercial developments, water and sewer utilities and marine developments. He is currently the geotechnical engineering discipline lead for the Southern Program Alliance. A novel double-skin tubular arch (DSTA) bridge system is being developed at the University of Queensland as a collaborative effort of several organisations. This new bridge system builds on the existing research on hybrid double-skin tubular members (DSTMs) which consist of an outer FRP tube, an inner steel tube and a layer of concrete sandwiched between them. DSTA bridges are light-weight, durable, of low-cost and rapid to construct, thus providing a highly attractive alternative to traditional bridge systems. This paper presents the design and construction of a full-scale DSTA bridge prototype in the laboratory. The design procedure, based on existing design provisions for DSTCs, is briefly presented. The construction process of the DSTA bridge, including the fabrication of steel and GFRP segments, assembly process, fabrication of joints and concrete casting, is described in detail and discussed. Two methods are discussed for the fabrication. Dara is a senior bridge and civil structures engineer in Arup’s Sydney office. He has over 15 years of experience in the assessment of existing infrastructure structure assets on a wide range of transport and energy infrastructure. This paper covers a new approach to scour critical bridge monitoring. Networks of connected devices were used to monitor scour critical bridges. A system of connected wireless sensors were used to monitor the tilt (orientation) of bridge piers with sub arc second accuracy. In addition, a wireless ultrasonic water level sensor was used to monitor water elevation beneath the bridge. Also, wireless solar-powered cameras were used to provide constant visual feedback from the general bridge condition. To produce a model-based approach, temperature was monitored at the location of all sensors. For precision of detection, analysis was conducted to produce a baseline model that predicts small deflections in bridge piers caused by temperature variations. The models show that in most bridges, a typical quasi-cyclic pier deflection of around 0.005 to 0.05 degrees happens, where such deflection is resulted by daily temperature changes. Once the baseline models are developed and fully verified using a few weeks of data, deviation from the models is used for detection of bridge scour. The deviation often happens in the form of a new pattern of deflection caused by temperature, or in form of excessive non-returned tilting of bridge piers, implying settling or other forms hydraulic damage. Moreover, data from the wireless camera was used to further monitor changes in pattern of rocks/sediment around bridge piers. The connected devices help achieve real-time condition awareness on scour critical bridges. Pedram Mojarrad received his PhD in Civil Engineering from University if Technology Sydney in 2012. He is now founder and Director at Dez Pacific. Pedram’s field of expertise is health monitoring of structures, concrete materials and repair. Pedram has 16 years of experience in the industry. Dr Mehdi Kalantari has more than 22 years of experience in industrial instrumentation, communication systems, and wireless networks. Currently, he serves as the President and CTO of Resensys LLC, which he founded Resensys in 2008, with the mission of protecting infrastructure systems against aging, malfunction, and structural failure. Mehdi received his PhD in Electrical and Computer Engineering from the University of Maryland in 2005. The Arden Street Bridge over the Moonee Ponds Creek is a seven-span cast-in-place reinforced concrete bridge constructed in 1923. Originally designed for a 16 ton roller, the bridge was strengthened in 2004 to accommodate vehicles operating at Higher Mass Limits. SP AusNet requested approval from the City of Melbourne to use the bridge during the transport of various Heavy Load Platform (HLP) configurations, including 12 and 14 axle platforms carrying 130 tonne 150MVa or 162.5 tonne 225MVA transformers, as part of the West Melbourne Terminal Station upgrade. 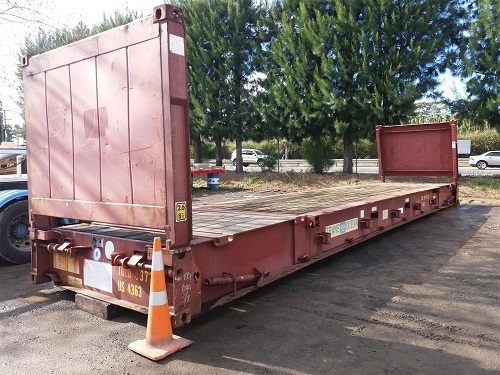 Following a desktop load assessment, performance load testing of the bridge was undertaken involving the use of two semi-trailers. The mass of the test vehicles was progressively increased to 54.5 tonnes each. Sensors used during the testing included strain gauges, linear potentiometers and slip measuring load cells. After the results of the performance load testing were evaluated additional testing was carried out on one representative beam. During this second stage of testing the bending and shear actions induced in the test beam approached the predicted Ultimate Limit State load effects for the proposed HLP loading. This paper will describe the load testing carried out including the project constraints, identified risks and lessons learned. Chris Morton has 15 years’ experience covering a broad range of bridge engineering activities including inspections, load rating, rehabilitation and strengthening design, concept and detailed design, feasibility studies, writing reports and specifications, cost estimates and hold point inspections. 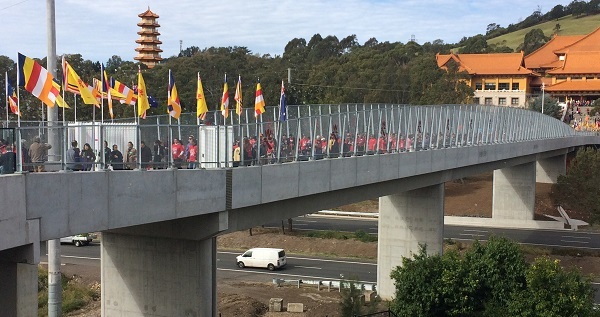 The Nan-Tien Pedestrian Bridge project involved the design, construction and commissioning of a new pedestrian footbridge over Princes Highway to link the Nan-Tien Buddhist Temple on the South side of the motorway with the recently built Nan-Tien Institute on the North side of the freeway. 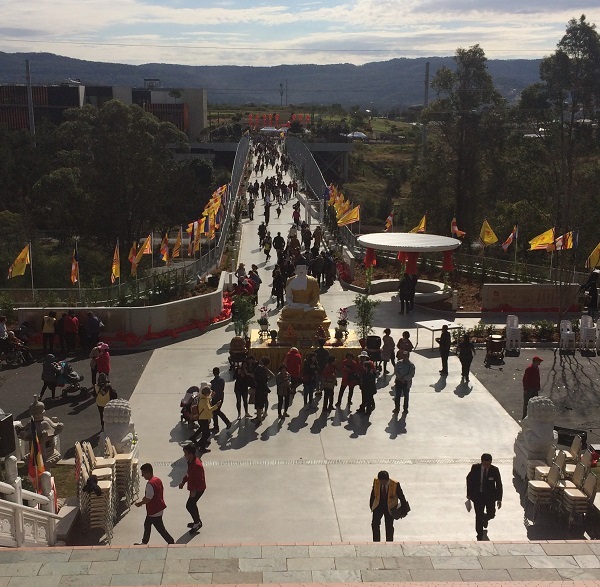 One of the main guidelines for the overall Nan-Tien Institute development plan was to support and inspire learning and the pursuit of research and creative practice within a Buddhist framework. In this context the pedestrian bridge is the entry statement and the first architectural feature and therefore the aesthetics of the bridge and the incorporation of landscaping areas and a flowing safety screen was important. The large centre span of the 112m long bridge required the preferred Super-T girders to be made continuous and integral with the piers. This caused various challenges for the design and construction of the bridge, the temporary works and the approval process. The main challenges and lessons learned will be covered in this presentation. James has over 12 years experience in structural design with specific and well developed skills in bridge engineering, with experience and involvement in several high profile projects. In addition to the design of road, rail bridges and structural infrastructure, James has been responsible for the analysis and design of launching trusses, gantries and other temporary works. Main Roads WA, as the lead State road authority, has a responsibility under State Emergency Management arrangements for the restoration of the Main Roads network, including the clean-up and reconstruction of bridge assets during recovery operations. It was identified that there were limited emergency bridging options in the State that would be readily available in the event that a bridge was damaged or lost during an incident. In 2012, Main Roads WA established a team comprising asset managers from all regions to develop an emergency bridging strategy. The Emergency Bridging Team’s strategy included a recommendation to refurbish the Bailey bridge system owned by Main Roads and supplement this with a larger span system. The Team also recommended that Main Roads’ staff should be trained in the use of these systems. •	emergency bridge storage arrangements and training of staff. Peter Newhouse MIEAust CPEng has worked in Main Roads WA since 2001.At Main Roads Peter has been responsible for managing bridges on the State and National road network in the South West Region of WA. He has also worked closely with other bridge owners in the Region such as local government, by providing technical advice and programming bridge repairs and refurbishment on their behalf. Peter was involved in the re-establishment of a Bridge Maintenance Team that continues to provide specialist preventative maintenance services for timber bridges in the State. Recently, he has led a team in developing and implementing an emergency bridging strategy for Main Roads WA. The new railway crossing of the Pacific Highway at Warrell Creek on the NSW North Coast comprises an innovative “pergola” structural form to carry the railway loading over two spans. The single track North Coast Line was deviated during a track possession to allow for a bulk excavation and bottom-up construction of the structure. The substructure comprises reinforced concrete gravity retaining walls up to eight metres in height and supports a superstructure comprising prestressed concrete girders that vary in spacing for the high skew of 50 degrees. The presentation will cover the design process including the alternative design options considered, the constructability considerations and the benefits of deviating the rail alignment temporarily to facilitate construction. Ken leads Aurecon's bridges team in NSW comprising approximately thirty people and is a Technical Director within the Infrastructure Group in Sydney. He has nineteen years’ experience in the detailed design, documentation and construction of major highway and motorway upgrades in NSW and Victoria. Ken was the structural design leader on the Warrell Creek to Nambucca Heads project which comprised fifteen major bridges. The ever increasing demand to extend and develop new shared use cycleway networks place significant capital costs on to local Council’s. Where budgets for such projects are severely constrained, significant savings can be made by using refurbished and modified pre-loved shipping container “flat-rack” transportation platforms. Innovative thinking is often needed to achieve the great outcomes sought within limited Council budgets and ever growing complexity of planning and building regulations. Ex shipping industry Flat-Racks provide an opportunity to span small water crossings. They are also very strong, accommodating not just cycleway traffic but also contractor maintenance vehicles/machinery. Flat racks may be considered a short-term or temporary solution but they are so affordable that shorter life-span renewal may still be more cost effective over the long-term. 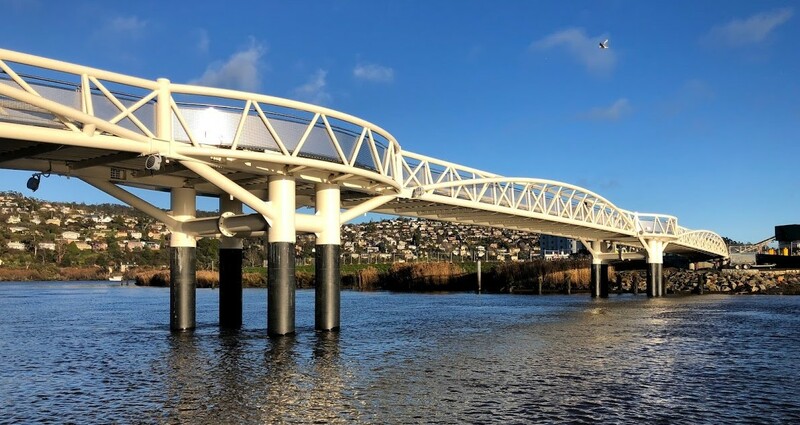 The presentation will provide a “show and tell” overview of two recent cycleway projects in the Western Bay of Plenty that have used Flat Racks for bridges. Formerly an aircraft engineer with the Royal NZ Airforce, Scott has over 12 years experience of recreation/ open space projects for the Western Bay of Plenty District Council. He is heavily involved in all of the District’s cycleway projects. Due to aging infrastructure and high demand to move heavier vehicles, there has been an increasing number of highway bridges that are required to be strengthened in Victoria. Finding a suitable bridge strengthening solution is not a straightforward exercise for most cases. The selection of a solution depends on many factors including contractor’s preferences, bridge types, bridge conditions, existing reinforcements, deficiency types and levels, traffic restrictions, site condition. This paper presents a summary of traditional bridge strengthening approaches as well as more recent innovative approaches. The paper is based on the work by the author over many years assessing and strengthening Victorian bridges. The focus of the paper is on the theoretical effectiveness of these approaches for typical highway bridges in Victoria. To illustrate, a number of examples are shown including a bridge with composite prestressed girders and a bridge with composite haunched steel girders. These bridges are studied in details to show the pros and cons for each method of strengthening. These examples are analysed and designed in accordance with the new AS5100-2017. The paper will provide a guidance to designers as well as bridge owners for selection of bridge strengthening solutions. Binh Pham has over 19 years experience in structural design for various projects in Australia, Middle East and Southeast Asia. He has worked on numerous projects from large multidiscipline construction projects to smaller bridge assessment and strengthening projects. 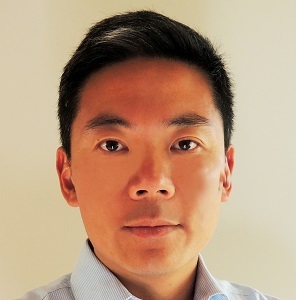 Binh is a specialist in strengthening structures using fibre reinforced polymers and advanced modelling of bridges. He has authored/co-authored over 25 publications. He is the reviewer for Elsevier’s journals and ICE Bridge Engineering Proceedings. The focus of this paper is to discuss design requirements for a typical node of a concrete truss bridge, to achieve robust, stiff and durable performance in an elegant pedestrian crossing. Geometrical configuration at a node demands the skilful art of balancing the demand of aesthetic appearance, understanding the mechanism of how loads are transferred between members, applying appropriate parameters on the theories of engineering science and accommodating the necessary reinforcement inside the concrete surface. The building industry should not discourage adopting innovative solutions consisting of a concrete truss in new bridge projects, influenced by the collapse of a pedestrian bridge at the Florida International University in March 2018. Good design can be developed to build elegant bridges successfully. Hari Pokharel holds a master’s degree in structural engineering and has more than 30 years of industry experience in design, construction and design management of major infrastructure projects in Australia and Asia, mostly related to bridges and heavy structures. He is a chartered professional engineer and member of the Engineers Australia and member of the American Society of Civil Engineers. Hari is currently working as an Associate Technical Director in the Infrastructure Department of Arcadis Australia Pacific, Sydney office. The bearing replacement design for the bridge crossing Nepean River at Blaxland’s Crossing, Wallacia, was initially presented at the 2017 Small Bridges Conference by Arcadis. The five span prestressed concrete bridge comprises slender concrete blade piers within the Nepean river. A distinctive twist to the pier layout provides perpendicular support to the superstructure, whilst lessening the impedance of flood water by skewing the base of the pier parallel to water flow. Aurecon prepared an alternative bearing support design which resulted in Wollondilly Council awarding the construction contract to Complex Civil contractors. The new bearing supports feature innovative steel brackets braced to the sides of the pier with high strength stress bars. 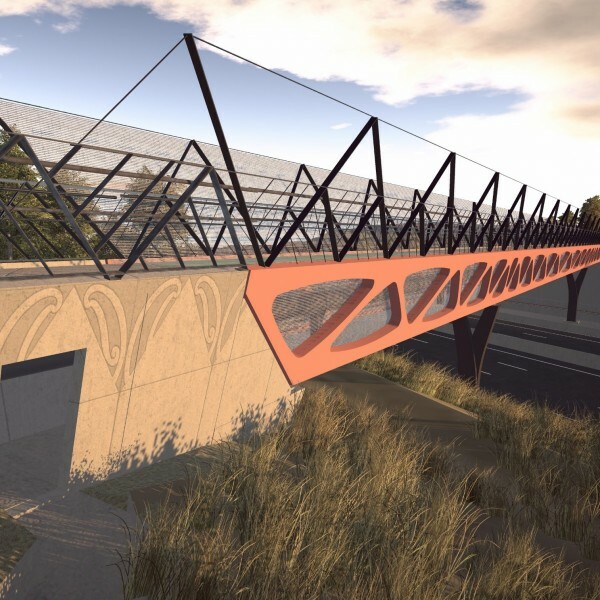 This design has been successfully adopted on other Aurecon bridge projects in the past. Whilst this project is ultimately about the replacement of elastomeric bearings, this paper discusses the progression of this innovative design from concept stage at tender, the use of LIDAR technology through to detailed design, fabrication and construction. Marcia Prelog is an Associate within Aurecon who has extensive experience a variety of bridge structures in Australia and overseas. Her 18 years in the Bridges discipline encompasses design in steel, concrete, composites and timber. The James Street underbridge is a masonry arch bridge built in 1869, which is a Sydney Trains asset. The bridge is west of Lithgow Railway station and carries two tracks. The bridge is of heritage significance as it is the second oldest stone arch railway bridge in NSW still in use and was designed by renowned engineer John Whitton. The bridge is a three-span sandstone arch structure and is a great example of sandstone arch construction of its era. Aurecon undertook a load rating assessment with the aid of specialist arch analysis software Archie-M and with guidance from Australian and international standards and codes. The findings of the initial condition assessment and load rating suggested possible settlement and lateral instability of the arches, necessitating arch crack repairs and lateral strengthening. The load assessment provided a decreased capacity to carry freight loads due to the existing defects. To increase the arch capacity for current loading and further extend the service life of this historic structure, Aurecon undertook the design of replacement tie rods, arch lateral strengthening and crack repairs. The design was heavily coordinated with NSW heritage. The behaviour of stone masonry arch structures, the effect of the tie rods’ contribution to the spandrel walls and the significance of defects such as arch cracking on the load rating and refurbishment design are some of the important features that are explored in this paper. Pier scour is a common cause of waterway bridge failure. In order to decrease the potential of bridge-pier-scour failure, a triangular flow diversion structure, hereafter referred as FDS, was optimised in this study as an effective countermeasure against local scouring. An efficient statistical approach to experimental design, called Taguchi’s method, was employed to design the experimental program and to reduce the number of the experimental tests. This scientific method can be used to find the best values of the controllable factors with a minimum number of tests. According to Taguchi’s method, 25 tests were conducted to optimise the dimensions and the installation location of the proposed flow diversion structure. To compare the experimental results and to assess the effectiveness of FDS, the control and optimum tests were performed. In this study, a 3-D printer was employed to build accurate physical models of the pier and the flow diversion structures. To measure the topography of the scoured bed after each test, a precise 3-D scanner was used. The experiments were conducted in a steady flow and under clear water scour conditions. After achieving equilibrium conditions, the bed profile was measured and the volume of the scour hole determined for each experimental test. The results of these tests revealed the optimum dimensions of the proposed FDS and its best place of installation to achieve the maximum reduction in pier-scour. In the optimum condition, around 40% of the maximum scour depth, and 60% of the scour-hole volume were reduced. This structure can be suggested for use in real situations due to its low cost and easy installation procedure. 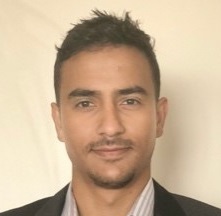 Mohsen Ranjbar-Zahedani is a PhD student in Hydraulic Engineering Discipline at the School of Civil and Environmental Engineering, University of Technology, Sydney (UTS). He received his ME in Hydraulic Structures from Shiraz University, Iran, in 2009. After that, he was working at Fars Regional Water Authority as a hydraulic structure specialist for seven years. He received a scholarship from UTS and started his PhD course in 2016. Hadi Khabbaz is an Associate Professor in Geotechnical and Geo-environmental Engineering Discipline at the School of Civil and Environmental Engineering, University of Technology, Sydney (UTS).At the moment, he is Deputy Head of School Research. 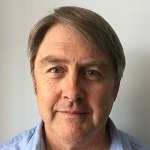 James E Ball is an Associate Professor in Water and Wastewater Treatment Discipline at the School of Civil and Environmental Engineering, University of Technology, Sydney (UTS). He is the Editor Australian Rainfall and Runoff. Nillumbik Shire Council (NSC) (the Green Wedge Shire) in outer north east metropolitan Melbourne had determined in 2015 the need to refurbish or replace the Diamond Street bridge (Eltham), it’s last timber road bridge in the urban area of the Shire. Wood Research and Development (WRD) were commissioned to conduct a condition assessment of the bridge then produce a preliminary design and cost estimate for refurbishment. Following confirmation by NSC that the refurbishment was expected to cost less than a new bridge at that location, WRD then completed a detailed design for the refurbishment and restoration of the load rating to T44. The bridge was already down-rated to 12 tonnes prior to WRD’s involvement. During the inspection of the bridge, it was recognised that the bridge had an unusual superstructure arrangement, a stress laminated deck and significant reinforced concrete packers atop the prior timber headstocks and piles bents (no girders in this case). Upon further investigation during the design process, it was recognised the laminations in the stress lam deck were penta treated coastal Douglas fir. Inquiries with the client, NSC revealed that the deck was installed 25 years earlier during the last upgrade of the bridge. This deck material was confirmed during the construction phase to be in as new condition apart from very minor decay where the installing contractor had drilled vertical holes into bright wood along each edge of the deck when installing the guard rail system. This paper will focus on the longevity of the treated timber deck as well as the unique design of the prior upgrade and the recently completed restoration. Stephen Richards, BE (Civil) has worked in Local Government for 24 years with 9 years in civil project design and delivery and 15 years in the management of municipal works, construction, special projects and asset management. He joined Timber Restoration Systems in 2010 as Operations Manager and moved to Wood Research and Development in 2015 as Manager Contracts. In this time Stephen has managed the delivery of contracts valued between $57k and $2.3m. Buried Corrugated Metal Structures (BCMS) offered a fast, cost effective form of construction for road crossings and consequently over the years a number have been installed on the NSW road network. Roads and Maritime Services NSW currently have approximately 70 BCMS with spans in excess of 6m. Roads and Maritime Services, Hunter Asset Management Division has recently undertaken a detailed assessment of all six BCMS in the region. The structures range in span from 3.2m to 11.5m and accommodate local road, fauna and pedestrian movements. The structures are all of multi-plate construction and are either arches or elliptical tunnels. Detailed inspections of the existing structures was undertaken including extensive ultrasonic thickness testing of the existing plates. This information was then used to advise PLAXIS soil structure modelling to assess stresses in the structures. Remedial options were then developed. 3D terrestrial laser scanning was also undertaken for each of the structures. The point cloud data from the scanning was used to assess structure geometry and serves as a baseline for ongoing monitoring of deformation and corrosion. This paper will focus on the investigation findings. In addition, practicalities and benefits of 3D laser scanning will also be discussed. 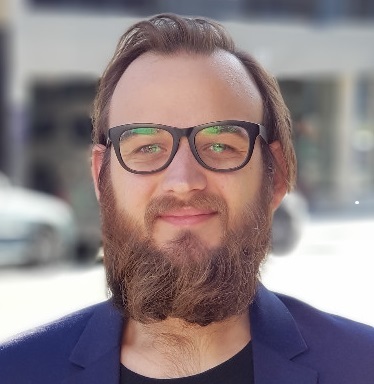 Nathan, BE(Hons), MIEAust CPEng NPER, is a Senior Bridge Engineer at Aurecon with over 13 years experience in the design and construction of bridges and civil infrastructure. Nathan's design background is supplemented with construction experience as a temporary works coordinator on large rail infrastructure projects in the UK. Nathan was the project leader for the recent assessment of six BCMS in the Hunter Region. Over eight years, the Victorian state government has committed to removing fifty of its most dangerous and congested level crossings across Melbourne. Two of these level crossing removal projects; Buckley Street, Essendon and Camp Road, Campbellfield; were positioned on key arterial roads in highly constrained residential areas of Melbourne. Removed as part of the North Western Program Alliance, it was imperative that the two new bridges (a rail underbridge and a rail overbridge) were designed to have the least disruption on the community and environment, ensuring that Melbourne was able to keep moving during the works. This paper discusses the engineering solutions developed and the design strategies used to minimise schedules and perform the majority of construction works whilst trains were running and roads were open. Whilst both structures are integral bridges with decks cast on ground and supported on CFA piles, each structure presented its own site-specific challenges. Notwithstanding this, challenges were overcome, and the amount of time rail or road operations were completely suspended were limited to five and fifteen days, respectively. To date, the Camp Road project is the fastest level crossing removal within the program of works. Carla Rossimel is a structural engineer with four years of experience in project management and structural engineering within the mining, oil and gas, maritime and bridge sectors. Through her time at KBR, Carla has worked on a number of transport projects, designing a number of road, rail and pedestrian bridges. 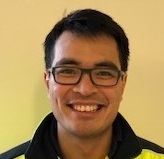 James Wong is the Principal Structural Engineer for the KBR Victoria office and is the Lead Structural Engineer of the Buckley Street, Bell and Moreland Railway Crossing Removal Projects. He is a Chartered Professional Engineer of Engineers Australia with over 18 years of extensive experience in engineering, construction and management across infrastructure, power and resource sectors. 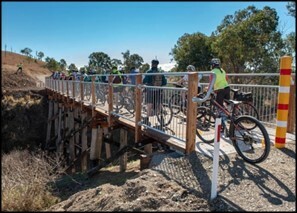 A timber pedestrian bridge constructed in 1988 for City of Knox, a Victorian council, as part of a cycleway was destroyed following a fire at a nearby transfer station and recycling facility. The bridge was 30.36m long and 2.4m wide, with 12 equal spans of 2.53m spanning over Blind Creek. Post incident, the bridge was closed and City of Knox engaged pitt&sherry to design a replacement bridge. Key requirements for the new bridge was to maintain the original alignment, reuse existing concrete footings and use FRP instead of timber. However, the use of FRP proved to be challenging due to limited information available in the Australian standards for FRP design. Hence, an American standard, “Pre-Standard for Load & Resistance Factor Design (LRFD) of Pultruded Fiber Reinforced Polymer (FRP) Structures”, was used as a design guideline. The new bridge was designed for 5 kPa loading in accordance with the requirements of Australian Standards, AS5100.2-2017. All structural components for the bridge are FRP except pedestrian fencing. Based on the site geotechnical data and structural analysis existing concrete footings could be reused with new connections, thereby maintaining the original alignment and a reduced construction cost. Amit Sagar is a Bridge Engineer at pitt&sherry based at Melbourne. He joined pitt&sherry as a graduate engineer after completing his PhD in Condition Assessment of deteriorating concrete bridge girders. Since joining pitt&sherry he has designed one road bridge, three pedestrian bridges, three bridge widenings and 50 plus Levels 3 inspection assessments. To support the growing population and subsequent demand on road infrastructure, ongoing upgrade of Queensland’s transport network is being undertaken. These upgrade works require design consideration to maintain the existing level of service during construction, as well as maximize the retention of the existing assets in order to provide the most viable solution. In terms of bridge assets, this requires the widening the existing deck on many of the current bridges. In some cases, bridge designers allow for future widening of the structures, however, it often happens that the envisaged widening provision falls short of the updated performance criteria and the needs of the future. Thus, widening of existing bridges presents a multitude of challenges during each phase, from planning and scheduling to design and construction. Key issues to address are to minimise impact on the existing structure, manage construction constraints, retain existing bridge elements, ensure that the required durability is achieved, and to provide an asset that can be readily inspected and maintained by the relevant authority. This paper addresses widening of existing bridges on the Logan Enhancement Project undertaken by CPB Contractors and GHD/SMEC led design JV, which was completed for Transurban Queensland, the client. The paper aims to provide an insight into some of the key challenges encountered during the design and construction and provides recommendations to address these challenges, with the intention of advancing industry knowledge to ultimately improve the design and construction approach on future upgrade works. Shariq is a Senior Bridge Engineer working within the Bridges and Materials Technology Team of GHD. He has more than 12 years of experience in bridge design and worked on a variety of bridge projects in the Middle-east Asia and Australia. He worked on the Logan Enhancement Project as a senior design engineer on the bridge widening package that included six widened bridges. Palisa is a Senior Bridge Engineer working within the Bridges and Materials Technology Team of GHD. 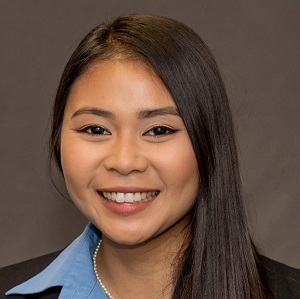 Palisa has more than five years of experience in structural engineering with a focus on bridge design. Palisa was involved in the detailed design of the Logan Enhancement Project and was later deployed to site to provide construction phase design services, which included design support for the six widened bridges. This paper outlines a recent adopted strategy to protect the Napier Street Railway Bridge, in which VicRoads has implemented a new Intelligent Transport System (ITS) strategy to prevent future bridge strikes. The Railway Bridge over Napier Street in Footscray has a clearance of 4.1 metres and has had a number of strikes by over-height vehicles, resulting in frequent temporary closures of Napier Street to traffic and posing safety risks to road users. The Napier Street railway bridge has had more than 70 strikes in the last 7 years. The Napier Street Railway bridge is one of the highest impacted structures in Victoria, and hence VicRoads was funded to provide a strategy in preventing/reducing the number of strikes by over-height vehicles at this notorious low clearance bridge. The paper discusses the design and construction of number of new devices implemented on site as part of the new ITS. The new system can detect any overheight vehicles approaching the bridge that have failed to follow the static signs, electronic message signs and warning line marking. At the last point, new traffic signals have been installed that stop the over height vehicles preventing them from impacting the bridge. Armin Shoghi gained bachelors of Civil Engineering with (Hons) from Swinburne University of Technology. He is currently working at VicRoads as a Senior Structures Development Engineer. He has been involved both in delivery and development of bridge projects at the Structures team. His latest project was the delivery of the notorious Napier Street project. Soil nailed walls applications beneath bridge abutments are becoming more commonly used. The objective of this system is to provide restraint during removal of existing spill through required to facilitate construction of carriageway widening and turn around lane under bridges. The process of removing spill through abutment creates a challenge in the design and risks associated with impact to existing bridge piles and structure. This paper presents a case study of a soil nailed wall system which has been successfully implemented on the M1M3 project, a part of the Pacific Motorway Upgrade section extending between Eight Mile Plains and Rochedale. To provide space for temporary traffic during construction, the existing spill through at Underwood Road bridge was required to be cut back. A soil nail wall was constructed to provide lateral restraint to the existing abutment piles and excavation. The design approach comprises two-dimensional (2D) finite element numerical modelling to assess any adverse impact to the bridge. The analysis considers soil structure interaction to determine the soil nail requirement as well as predict wall deflections and any forces transferred on the piles. The results from numerical modelling were compared with construction monitoring data which found less movement on the wall than predicted. Although not performed during the design phase, further study using a three-dimensional 3D finite element numerical modelling was carried out to assess the behaviour of the soil nailed walls. The advantages and disadvantages of both 2D and 3D analyses with particular reference to the value in technical aspect and risk assessment are presented. Elisabeth Simbolon has 14 years of engineering experience in geotechnical design and construction. 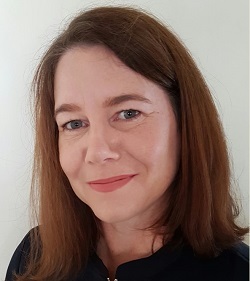 During this time, she has undertaken numerous roles on a variety of large road, rail infrastructure and airport projects throughout Australia. Her project involvement ranges from investigation, project deliveries, tender assessment and construction support. Elisabeth’s expertise in geotechnical engineering includes geotechnical investigation, numerical modelling and finite element analyses, design and construction of earthworks, foundations, retention systems, expansive soils and ground improvements. Kam Chew has over 25 years of broad ranging experience in design and construction of geotechnical works including earthwork, ground improvement works, earth retaining structures, excavation support system, slopes and foundations. Since joining Jacobs in early 2011, he worked on several large infrastructure projects including Gateway Upgrade North, New Parallel Runway, Darlington Upgrade Project and Level Crossing Removal Project. Prior to joining Jacobs, he worked in Malaysia as a resident engineer, project manager, geotechnical manager, technical reviewer for major transport infrastructure projects. Jacob Dunstan is a Principal Engineer who has worked across Australia, Asia Pacific and Europe as a geotechnical consultant on geotechnical, civil, mining and oil and gas projects. His experience spans a wide range of projects including roads, bridges, buildings, mine infrastructure, landslip remediation, stability assessment and large scale earthworks. Road and Rail managers own a variety of bridge assets which are aging and will need replacement. There is a risk that insufficient funding is allocated for these replacements and that the timing of funding does not match demand. When an asset fails to meet the required level of service it costs the community and this cost needs to be weighed up against the capital replacement cost to determine the cost benefit of capital replacement. A methodology for prioritising capital replacements has been developed that helps simplify the complex process of considering all the level of service factors. The method utilises level of service information such as condition, load capacity, flood immunity, barrier safety and other factors to determine the cost benefit of replacements. The cost benefit ratios then determine the priority order for replacements. This paper will discuss these issues and provide guidance on the methodology. Andrew Sonnenberg has over 20 years' experience in the design of road and bridge projects in Australia. His work in both the public and private sectors has provided a sound understanding of the complexities of asset management and the skills to successfully project manage multidisciplinary projects through to completion. As national Bridge Engineering Manager at pitt&sherry, Andrew oversees the company's bridge network across Australia, and has a deep understanding of the country's best practices when it comes to bridge design assessment and management. His practical experience is reinforced by a strong theoretical background, which includes a Master of Business Administration and a PhD obtained from the study of the shear strength assessment of reinforced bridge beams. The Australian forestry industry produces around 30 million cubic metres of wood per year. For the construction sector, this is a readily available resource for infrastructure projects. The Australian Government has also announced a goal to plant one billion new production trees over the next decade. One aspect of using timber for bridge building is the potential to save costs by way of renewal or restoration rather than complete asset replacement. Some local government authorities are now identifying structural renewal and replacement with timber as a viable cost-effective option. However, there is a perception of a lack of availability of large end timber. Ongoing innovation in the use of engineered timber products, enabling greater utilisation of smaller logs, as well as opportunities for increased supply from commercial forests, can meet this demand. Another feature of the timber industry is the high uptake of internationally recognised and independent environmental certification schemes. The embodied energy of timber is also significantly lower than for substitute products such as steel and concrete, making it an attractive carbon friendly material. Partly in response to these factors, many governments globally and locally have adopted a wood encouragement policy (WEP), which requires timber to be considered as a preferred construction material when it is equally fit-for-purpose. Within Australia 15 local councils, one State Government and two local government associations have already adopted a WEP. Preservative treatment of timber has also changed over the last two decades with new treatments becoming more mainstream. Engineers need to become familiar with the new treatments and their applicability to the longevity of timber bridges. In summary, these trends are making timber solutions for small bridge replacement or renewal, an increasingly more viable economic and environmental option, that needs to be considered in the market . 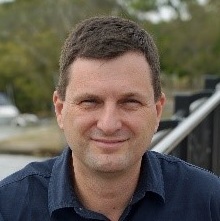 Mick Stephens is the CEO of Timber Queensland and is a resource economist with over 25 years' experience including public sector roles in Australia and overseas. His experience has included plantation development and sustainable forest management, rangelands, agroforestry, renewable energy, timber standards, regional development, forest products manufacturing, paper recycling and climate change policy. He has produced numerous articles and scientific papers on forestry and the timber industry and is a 2008 Churchill Fellowship recipient. Mick has a degree in economics, post-graduate qualifications in environmental science and a Master of Forestry from the Australian National University. Trucks that do not satisfy the legal weight and size limits sometimes need to use a transportation network. The effect of such vehicles on a pavement is not as detrimental as on a bridge. In such cases, the bridges along the route shall be checked to see if the imposed loading on them is structurally acceptable. The girder distribution factors in the AASHTO LRFD bridge design specifications (2017) cannot be used to evaluate the critical live load effect in individual girders if the truck gauge width is different from 1800 mm. Consideration of the vehicle’s nonstandard gauge width in the structural analysis of an existing bridge can help increase the allowable load. The objective of this study is to develop simple girder distribution factors for shear and flexure for short slab-on-girder bridges subjected to oversize vehicles. To develop the distribution factors, 126 bridges having different girder spacing and span length, and subjected to wide trucks were analysed by the finite element method. Findings of the study showed that the relationship between the girder distribution factor and gauge width is more nonlinear in shear than in flexure. Sami W. Tabsh is Professor of Civil Engineering at the American University of Sharjah, UAE, and former Head of the department (2006-2008). He was previously a faculty member with the University of Houston (1994-1999), Texas, and a Project Engineer for complex structures with Gannett Fleming, Inc. (1990-1994), Harrisburg, Pennsylvania. Dr. Tabsh has a Ph.D. from the University of Michigan and MS from Penn State, both in Civil Engineering. His research interests are in reliability-based code development, bridge structures, and large scale experimental testing. He is a licensed Professional Engineer in the State of Pennsylvania, USA. The Mary Valley Branch Railway was opened circa 1914, to connect the rich agricultural lands of Mary Valley to the goldrush country that became the town of Gympie. In more recent times (1998-2012), the railway carried a tourist steam locomotive service, known as the Mary Valley Rattler or Gympie Rattler. The railway line was closed in 2012 due to insufficient funding available to maintain the aging infrastructure. In February 2017, the Queensland Government pledged a grant to help resurrect the Rattler service. There were many challenges: all of the track needed to be re-sleepered and realigned, all fifteen rail-over-road bridges needed major restoration works, and the locomotive had to be fully rebuilt. This paper focuses on three (3) riveted steel bridges at the northern end of the railway which were constructed during the 1890’s, as part of the North Coast Railway. It describes the investigation and assessment of options available to the asset owners, and the subsequent repair methodologies; all these activities were carried out under a lean budget. This work included repairs and replacement of steel components which came from an era before welding had been invented. Historical steel records indicated that welding of this material could result in brittle failure, so the repair methods were tailored accordingly. Chris Dowding designs, maintains and modifies Bridges, Infrastructure and Placemaking Structures. He also works with Local Government asset managers, who have the challenge of managing ageing infrastructure & facilities. He gives them clear action plans to minimise whole-of-life costs and keep the community safe. His practical approach has solved challenging issues during construction and maintenance of numerous projects. Examples of his work include Albert St bus tunnel and Roma St bus platforms 1 & 2 (Brisbane's Inner Northern Busway); Munna Point Bridge Remediation (Noosa); Pickering Bridge crossing the Mary River (Moy Pocket); and the restoration of bridge structures for the Mary Valley Heritage Railway. 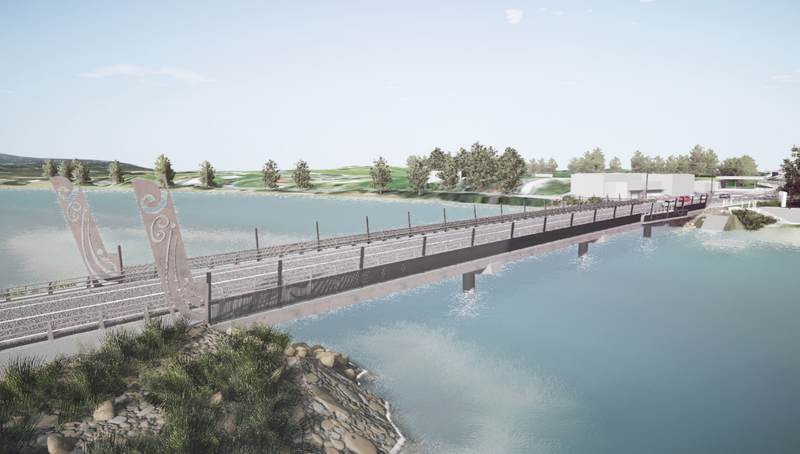 The New Zealand Transport Agency and Watercare Services Limited have jointly funded the design and construction of the Tirohanga Whanui Bridge. This pedestrian and cycling bridge is being constructed on the North Shore of Auckland across SH1 as a gateway structure within the Northern Corridor Improvements Project. The multi-functional bridge also conveys a 508mm diameter water main across the motorway, building resilience to the water supply network. It is a great example of form meets function whilst expanding the architectural design through structural features. The 106m long truss bridge consists of three spans, with organic voids that vary in aperture by responding to the stresses in the structure. This paper will cover the design development and construction of the bridge including concept design, layout, stakeholder engagement, structural detailing and analysis, erection methodology, and construction challenges. Geoff Thompson has 10 years’ experience in bridge design, management and construction. He has worked across multiple geographies including South Africa, Dubai, Fiji and New Zealand. He is passionate about all things 'bridge' and within Aurecon's Auckland office, leads teams in the delivery of civil structural and bridge projects. The traditional method for identifying and assessing internal decay in timber bridges has been bore-sounding where a small hole is drilled into a member and a probe is inserted to measure the cavity size. This testing method is damaging to the timber, and it creates a path for water, insects and oxygen to enter the member. Advanced non-destructive testing methods exist that can be more effective in locating decay without damaging the timber. One of main and most effective techniques is using EPHOD® (Electronic Pulse Highlight and Outline Diagnostic) compression wave technology. The EPHOD® equipment is utilized to complete stress wave measurements along with other WRD techniques to locate internal decay in a non-destructive nature. The machine used in these types of situations is called a Stress Wave Timing (SWT). 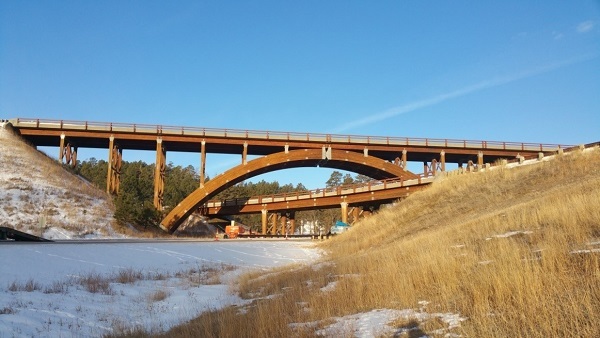 Wood Research and Development (WRD) was commissioned by Stantec to complete a Level II Bridge Inspection of the Keystone Wye Interchange which consisted of two timber highway bridges, the 411 – Lower Bridge and the 412 – Arch Bridge. The interchange, located near Keystone South Dakota USA and is part of the entrance to the historic Mt. Rushmore National Memorial. Non-destructive testing, including Stress-Wave Timer testing, was implemented to determine the state of the main timber structural elements within these two bridges. This presentation will elaborate further on the key issues of inspecting old timber bridges and keeping the structural integrity of the bridge at the forefront. Dr Dan Tingley, BScFE, M.Sc.C.E, Ph.D. (wood technology and structural engineering), has worked in the wood products field for over 40 years. He currently serves as the Senior Engineer for Wood Research and Development and Advanced Research and Development and makes his base in Portland, Oregon. Tingley holds over 40 patents worldwide and has over 125 referred and non-referred publications. He specializes in timber structures design and restoration and is currently acting as a senior engineer providing oversight on 20 timber bridge restoration projects worldwide. A major flood event in early 2018 washed out the Flaggy Creek Bridge at Mona Mona Qld. An emergency, adjustable span, glulam bridge was upgraded to the required vehicle loading, shipped to the site and installed to quickly open the road again for use by local traffic. Considering that the former bridge at the Flaggy Creek crossing was washed out by a 1 in 60 year (0.0167% a.r.i.) flood event and that the damage was caused by a fast flowing stream laden with large fallen logs and stumps; the design of the temporary structure presented a number of challenges. The Design matters requiring resolution were the structural capacity under traffic, the structural capacity whilst submerged and the hold-down systems necessary to satisfy the loading demands. These issues are often commonplace in bridge design however different considerations were required due to the temporary nature of the structure and the need to be able to remove it at the conclusion of its use. WRD’s objective here was to ensure the temporary bridge would survive until the client’s ultimate bridge solution could be funded, tendered, designed and constructed. This presentation will cover the design, upgrading and installation of the adjustable length emergency bridge span. 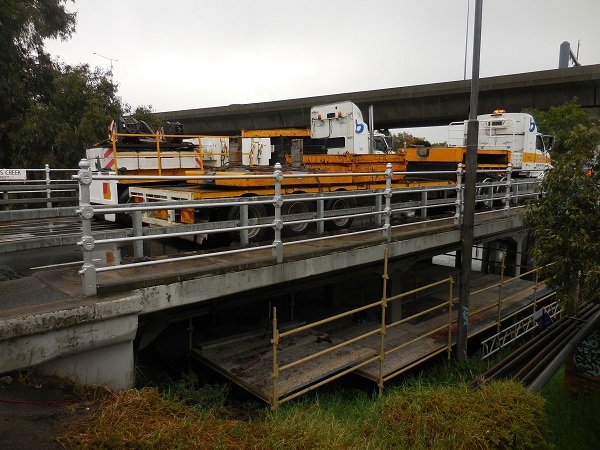 Eurobodalla has been undertaking a program of bridge renewal and replacements to reduce deficiencies and to better manage its transport network. 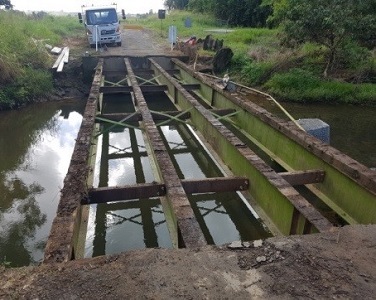 Due to significant government funding, a low-level rural timber bridge that was of poor condition and utilised by a high percentage of commercial vehicles, was replaced by a 85m concrete structure at a higher level. This work was done under a Design & Construct Contract. 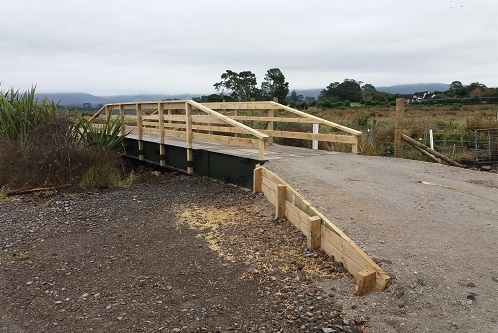 Simultaneously, a 130m long timber bridge in another rural location was replaced like-for-like by Council’s internal staff, using a combination of Council and grant funding. Both bridges are single-lane bridges located in remote areas of significant environmental benefit with imposed restrictions on the impacts allowed on their respective marine environment. This paper will discuss the desired outcomes from each project and compare the techniques used, a cost comparison of the two projects, and issues encountered. With over 40 years’ in local government, Royce has had significant experience across the range of local government responsibilities. Currently responsible for the Bridges and Marine Structures of Eurobodalla Council as well as other facets of Service Delivery, he was previously their Asset Engineer providing him with experience from project development through construction to long-term management. He holds a degree in Civil Engineering from USQ as well as a Masters from UTS in Engineering Management. 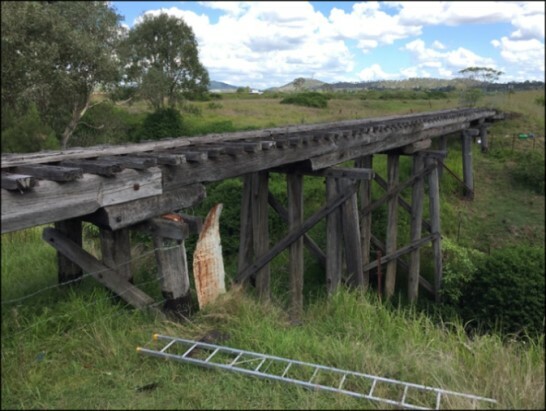 Queensland Rail undertook a project to replace three existing ageing timber rail bridges West of Laidley, Queensland. The purpose of the project was to improve reliability, operational safety and efficiency of services on the rail corridor. In late 2014, Queensland Rail awarded a contract to JF Hull Holdings Pty Ltd (JFH) for the design and construction of new structures to replace the existing timber bridges. Kellogg Brown & Root (KBR) was engaged by JFH for the design component. A key challenge in the project was to demolish the three existing timber bridges, install the new structures and restore the services in 48-hour full track closures at two separate locations. The short timeframe track closures were planned by Queensland Rail to minimise disruption to freight and passenger train services. KBR and JFH examined risks associated with the project requirements and proposed an effective solution to replace the existing timber bridges with precast box culverts supported on precast base slabs which were joined together by cast in-situ stitches. The proposed precast structures enabled the construction team to install them in place within the short allocated timeframe. KBR design team carried out detailed design of precast base slabs with cast in-situ stitches, precast wing walls, cast in-situ apron slabs and cast in-situ kerbs. Construction staging was also undertaken in the design to allow installation of precast boxes, backfilling and track works prior to casting in-situ stitches to form complete base slabs. The precast box culverts were designed by the third party. Two large box culverts were designed to replace the three existing timber bridges. 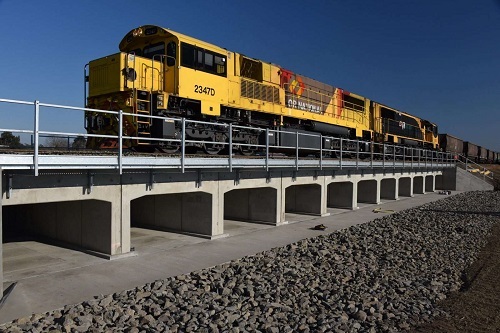 The new structures were required to be designed to support dual ballasted tracks with Queensland Rail QR-300A railway loading at each bridge location. Existing rail levels were to be maintained while flood efficiency of the new structures was improved after the construction. The main works to be carried out in the construction were demolition of the existing timber bridges, removal of unsuitable materials, subgrade improvement, installation of new structures, earth works and embankment formation at approaches, track works and restoration of the existing services. With thorough planning and design, the construction team managed to successfully complete the bridge replacement works in September 2015. Sunthara obtained his bachelor’s degree in civil engineering in 1993 at the Kharkov Institute of Municipal Engineers in Ukraine. In 2000, he pursued a postgraduate study at the University of New South Wales in Sydney and obtained his master’s degree in structural engineering. Sunthara has been working as a structural engineer in Cambodia and Australia. His main duties involve structural design of bridges and civil structures. This paper will highlight key features of FRP single section bridge construction by reviewing a major completed project for the City of Rotterdam. The project involved the design, construction and installation of 62 full FRP bridges. All bridges share the same design language but have different geometries, making full use of FRP’s versatility in bridge design. FRP bridge design and construction is still very much geographically dispersed around the world. Europe has been at the forefront of FRP bridge technology and acceptance of this technology due to the combination of its dense infrastructure, its readily available technology and willing clients combined with an open legislation with regards to new technologies. This has resulted in a dedicated design guide for FRP in civil engineering structures. The Netherlands has led the way, but surrounding countries are now following, including the UK with increased interest in FRP bridge construction and where dedicated design guides being prepared. The various available national design documents will eventually feed into a new addition of the Eurocode Standards. The presented paper will also detail designing FRP bridges in Australia using Eurocode, and explore the relationship between Eurocode and Australian Standards and Codes. 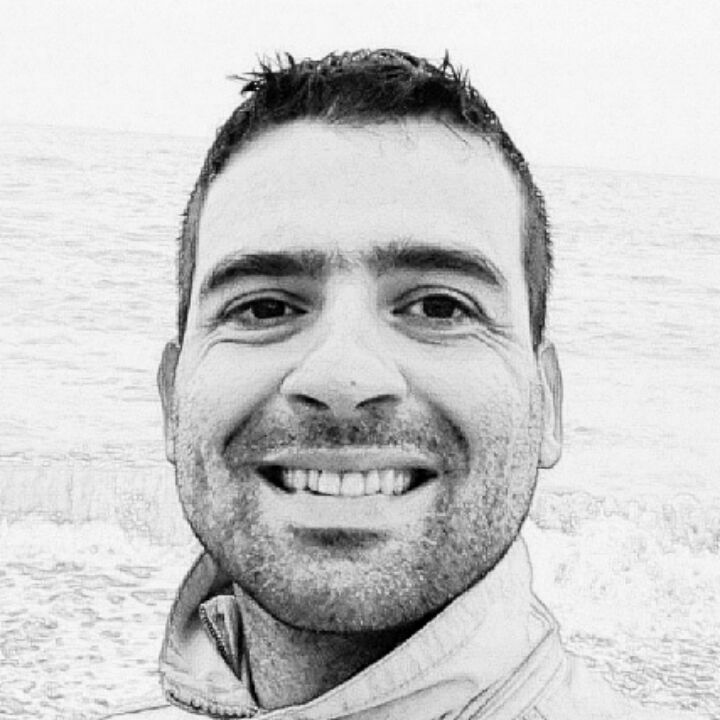 Dr. Martijn Veltkamp is a Senior Engineer based in Rotterdam, the Netherlands and is working with Sustainable Infrastructure Systems (Aust.) to deliver and implement FRP bridge technology. Involved with the design and manufacture of single span FRP bridges and linking his experience in FRP research, projects and stakeholder collaboration, he strives to design larger, lighter and more cost effective FRP bridge structures for clients worldwide. As part of the long-term North Bank Development, City of Launceston proposed a pedestrian bridge to provide a connection between Seaport and future Riverbend playground. The 120m long and 4m wide truss bridge was engineered and installed by a local firm – BridgePro Engineering in Latrobe, Tasmania. The bridge was constructed with 11 main prefabricated steel components; featuring 3 off 35m spans with 10m long by 8m wide landings at the two central piers. The superstructure is approximately 90T of steel with a recycled plastic deck and stainless-steel side panelling. The bridge is supported by a quad -pod-pier which 4 No. piles continuing from the founding level to the underside of the landing and braced together at river bed level by a concrete mass. This paper will discuss the design (challenges and solutions) and construction of this bridge. One of challenges of building the bridge is the complicated hydraulic (flood) model where the water flows in both directions. The landing platform and quad-pod pier system also stiffens the structure therefore reducing vibration and providing a comfortable vibration frequency for pedestrians. The bridge was successfully installed and opened to the public on 1st August 2018. The bridge soon becomes the great asset for the community around the area. Thomas Wazny has a dual diploma in civil and mechanical engineering and graduated with a bachelor’s degree from the Australian Maritime College in 2014. Since joining BridgePro in early 2015, he has been involved in the design and installation methods for more than 50 bridges and marine projects. Nam Do is SMP Project Engineer, responsible for providing technical engineering support throughout all stages of a project. He has been working around Australia from Energy, Mining and Utilities to various construction projects. With practical experience from different industries, Nam is able to find innovative solutions to ensure a smoother and better projects delivery.